Most dealers and sales departments are too busy selling to adequately stop and review a full year’s worth of deals. It is extremely difficult to “proofread” your own paper. It is rarely effective to expect the same people who may have made the mistakes to uncover their own errors. 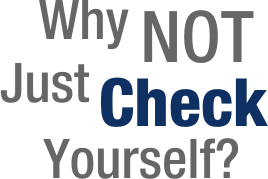 Most “non-sales” personnel do not have the understanding and experience to fully check behind the sales department—our professionals totally understand your C&I claim system. Our auditors have first-hand experience with over 1,500 dealers in 47 states & Canada. We know what trends and common mistakes to find for you. Our record shows we will find money for you and your customers. While Dewitt & Lane has traditionally provided a contingency-based incentive recovery service, our expertise has led us into a much broader variety of services – at the request of our faithful customers. Post-audit reviews of a manufacturer’s audit to help dealerships reduce their chargeback liability.